I am interested in social entrepreneurship, specifically utilizing digital media in higher education. I am also interested in multimedia storytelling. I have been working in higher education for more than 10 years. I am currently a Scholarship Coordinator at South Seattle College. My professional goal is to create a user-friendly scholarship web site that is engaging and social. I want to create a start-up, taking the knowledge and skills I’ve learned from my classes and putting them in action. I plan to write a business plan for a business venture that involves the scholarship web site I mentioned earlier. I have been both a full-time and part-time student. I find it quite challenging to be full-time and work 40 hours a week but it keeps me busy and engaged. I enjoy the intellectual stimulation I get from my courses and the practical experience at work. I also find time for social activities so I can be well balanced. I really enjoyed Rick McPherson’s Business Fundamentals in Digital Media. I took it the first quarter I started the program and the class really set the bar for the program. I was challenged tremendously and I learned a lot from him. I have the experience to now write business plans and present them to the public. I enjoy First Fridays. 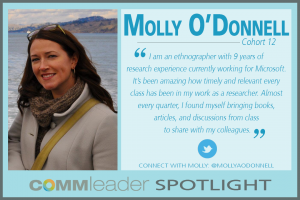 It has been a wonderful way for me to connect with my cohort and other professionals in the field of communications. The companies which have hosted the events this past year have been valuable, and did I mention the free appetizers and drinks? I always plan to attend every First Friday event. My ultimate goal would be to create a more user-friendly web site for scholars and scholarship seekers. This has been my main focus during my studies with Comm Lead. I envision a web site that will be used by millions of students around the world. I’m a huge fan of wearable technologies, specifically fitness tracking devices. I have owned a Fitbit and a Jawbone UP24 and was happy with the results. At the moment, I am in search of a new fitness tracking device. Possibly Apple is coming up with something in the near future? I would totally buy it. Fitness tracking devices keep me motivated to stay active and eat healthy, and who doesn’t love accessories? One of the strangest things I’ve eaten would be a duck embryo egg. It’s soft-boiled and contains a half-formed duck embryo. I enjoy mine mostly when I can taste the crunchy bits of the cartilage. If you’re lucky you can even taste the feathers. My mother makes a killer lime & pepper sauce to go with the dish. It’s a delicacy in many Southeast Asian countries, so I grew up eating it. Area of interest (within the MCDM/MCCN program or in general): I’m really excited to create interactive digital media storytelling pieces. I currently work as a Brand Manager but intend to move into a Creative Director position or start my own company (again) and work as a freelancer, maximizing all the amazing skills I’m honing during my time in the MCDM program. Every day at work is an opportunity to use my skills from the program, but what’s most inspiring is the motivation and impact it’s having on my personal projects and artistry. Upside: 5 credits = part-time and you finish in 2 years. Downside: 15-20 credits worth of great classes each quarter and I can’t take them ALL! So far, both core classes have had a lasting effect on me in regards to the program and its place in the digital world. But joining Scott Macklin for his Immersive Production Studio in the spring is, for me, what I believe is really going to impact my career goals. At this stage it would have to be listening to all of the amazing guest speakers. Seattle is such a rich place for leadership and digital media, and it’s amazing that we have access to these people. It brings everything down to a level where you feel that anything you can dream, you can do. To take over the world one smile at a time. I’m fascinated with the concept of distance, interactive learning through mobile technology. I haven’t eaten meat since 1998, but there’s a sad song called “strange fruit” that comes to mind with this question. Nina Simone’s version is beautiful and is still a mark of the times. Google it. I want to pursue Content Strategy and would also love to polish my skills in video storytelling. I have been lucky to work with some of the best journalists and TV networks in India. Having worked as a reporter, anchor and then a news producer, I wish to now shift my focus from facts and stats to storytelling for a more targeted audience base. My goal over the next few years would be to establish my mark as a content strategist. It’s a new and fast emerging field and I would love to join a team where I can add value with my skill-set and aptitude. 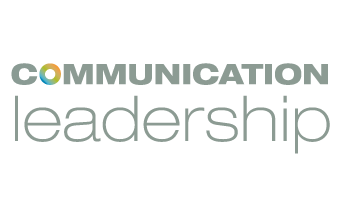 My experience with the Communication leadership has taught me to re-look at the dynamics of communication in its entirety. 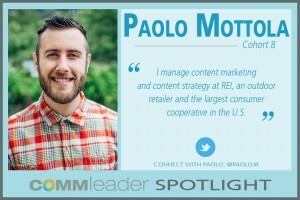 The market is constantly changing and this is the time to experiment with content. From my experience at MCDM, I have learnt to take more risks in my creative approach. It’s always exciting to try a new route, a bold idea and as long as we are taking a calculated risk, it will work! That’s a difficult question, most classes have taught me something new on how to better evolve with this emerging digital landscape. However, I have to mention Andrea Zeller’s content strategy class, which was perhaps one of my most the interesting subjects I took. The class got me thinking about content in a whole new perspective. Given my past experience in TV journalism, I was expecting some familiar thread, but content strategy is so much more than just fixing a copy or writing the perfect headline. From collaboration, execution to governance – it is a very holistic approach to content and its distribution platform. This is a must take class for people with a journalism background! Another class I thoroughly enjoyed was Rick McPherson’s Business Fundamental class. I have no business studies background and so I had to put in some extra hours, but I learnt a great deal and I would strongly recommend it for students who wish to become entrepreneurs at some point in their lives. 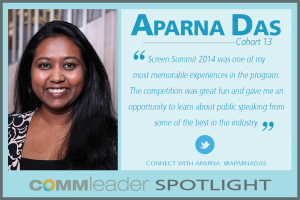 The entire process of Screen Summit 2014 would be one of my most memorable experiences in the program. The competition was great fun and gave me an opportunity to learn about public speaking from some of the best in the industry. It was a challenging too because participating meant extra work on weekends during the final weeks of the spring quarter, but my Professors were accommodating and my cohort was very supportive throughout the process. It was an honor to be chosen to showcase my work –Project Black Noise. Uff…there is a long list of it. My most recent one is to understand how some of the most unique & bizarre hashtags on twitter become so popular. #HowMuchIsTooMuch? I am here as an international candidate, so I am a full-time student. The classes in this course are very well-spaced out, so I actually managed some extra time in hand to pursue my other interests like volunteering, photography, cooking etc. That’s an easy one. Snails – boiled in broth with spices. And no it was not a French delicacy but a local dish in the eastern state of Nagaland, India. Online video distribution, mobile computing, wearable technologies. I work in the Video on Demand Space. My current focus is on improving digital video supply chain logistics by creating and promoting standardization and best-practices for handling of materials. 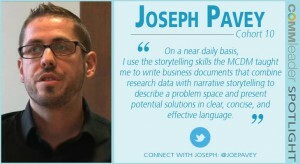 On a near daily basis, I use the storytelling skills the MCDM taught me to write business documents that combine research data with narrative storytelling to describe a problem space and present potential solutions in clear, concise, and effective language. Ken Rufo’s “Evolutions and Trends in Digital Media” helped me look broadly at the technology landscape and become better at predicting what might come next based on analyzing historical trends. Jamie Wells “International Trends in Mobile Technology and Marketing” taught me how to analyze trends from a business development angle and critically evaluate new technologies and their possible adoption. Finally, Anita Crofts “Leadership in the Digital Age” helped me consider what kind of leader I wanted to be and how I could most effectively inspire others to do great work. During the summer between my two-years in Comm Lead, I did an internship with Plan International in Cameroon, West Africa. I got to live in a small village for 10-weeks and teach citizen journalism to local youth. It was so exciting to see how the kids embraced technologies like Flip Cameras and used them to share the stories they wanted to tell. 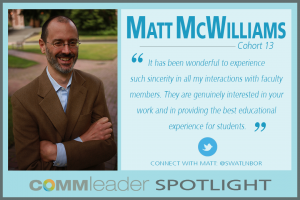 It’s an experience I couldn’t have had any other way, and my time in the Comm Lead program helped make that possible. To use the skills I’ve learned in my educational and professional career to disrupt the business models of legacy media organizations in a way that benefits consumers and content creators around the globe. I’m fascinated by mobile banking, and the impact that companies like M-Pesa are having in developing countries. The fact that so many cultures are skipping over legacy technologies that rely on expensive infrastructure investment (like land line phones, and wired internet) and going straight to wireless internet and mobile phones allows them to embrace newer, more innovative technologies more quickly. I find that extremely exciting to watch. 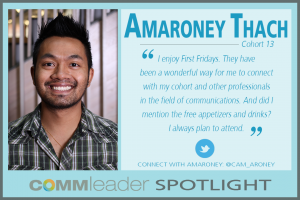 Comm Lead has been such a great experience for me, educationally, professionally, and even personally. I wanted to help give back to a community that’s given so much to me. Also, it’s a great way to stay connected with faculty and meet new students in the program. So far, I taught the “Intro to Digital Video” workshop that debuted in October, as well as helping lead the “Insider’s Guide to Comm Lead” workshop. I’m not sure what’s next, but I’ve still got just over a year to go, so there will definitely be more. A couple of years ago I was on business trip in Tokyo and I ate basashi. (Which is essentially, raw horse.) It’s a regional delicacy in the Kyushu prefecture of Japan, and was the specialty of the restaurant we were at. It was surprisingly good. I doubt I’d order it of my own volition, but it was fun to try it. I have become focused on the importance of practicing transparency to inspire trust among customers or constituents. People expect greater choices and better experiences that promote a better quality life. I like to think of it in terms of re-creating Main Street USA, which promotes a real sense of belong and provides a means to hold businesses and community leaders accountable. 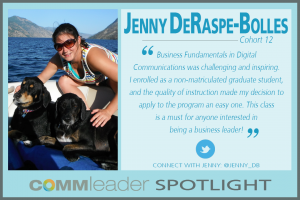 I have worked in the public policy realm and envision the Communication Leadership program to transition to commercial work focused on creating meaningful customer experiences. Digital media technology has become inescapable, affecting all facets of life. I am constantly applying lessons from my coursework to everyday situations, no matter whether it’s a civic, cultural or commercial experience. 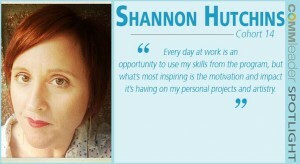 The program’s flexibility has been invaluable while I have had to manage other obligations. I remain deeply impressed by the faculty’s commitment to supporting student needs. It has been wonderful to experience such sincerity in all my interactions with faculty members. They are genuinely interested in your work and in providing the best educational experience for students. 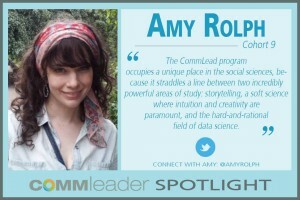 My favorite has been Leadership through Story and Communities because it focused on managing during a time of profound change by focusing on timeless skills, such as story and community. The readings, the lectures, the projects and guest speakers about the importance of human relations in achieving meaningful and sustainable impact. Technology may aid business practices, but it doesn’t replace the basic competency of managing people to achieve organizational results. Insightful analysis still requires human judgment. More than ever organizations need to invest in their people to achieve meaningful and sustainable impact. Again, Leadership through Story and Communities provided a wonderful opportunity to integrate my long-term interests with the course subject matter for a final project focused on change management. As such, I created a sculpture inspired by Seattle’s built environment to explore the role of design in achieving organizational goals. I chose this approach because I thought it would allow people to visualize the impact of design on communities and workplaces. In the world of traffic engineering, that has meant less reliance on traditional technological solutions to managing traffic in favor of behavioral approaches that actually have a much greater impact on system performance in improving traffic flow, reducing the frequency of accidents and creating better places to live, work and play. Traffic engineers have learned the folly in ignoring the fundamentally social nature of navigating the complexity of roads and intersections. Great design invites participation, builds trust and promotes a sense of belonging. It’s the social capital that makes everything work and leads to places we care about. Work can and should be the same way. I care about intentionality. Mostly, I want to work with good, smart people doing interesting things that address some of today’s challenges. I like to think I can be part of something that makes a meaningful difference in people’s lives by promoting a greater sense of independence, choice and control. If I can accomplish that to some reasonable degree, then I’ll be pretty satisfied. I believe Do Not Track may become in the next few years one of the most important issues, as data collection continues to challenge traditional interpretations of consumer protection and fair trade law. Although the digital advertising industry has established a voluntary system, questions remain about its effectiveness as long as there remains no meaningful legal enforcement mechanism. Fundamentally irreconcilable differences have emerged within industry, underscoring the need for federal legislation. A voluntary solution no longer appears practical. I am willing to try most anything, although I am not particularly fond of sweet things. I can’t stand watermelon.